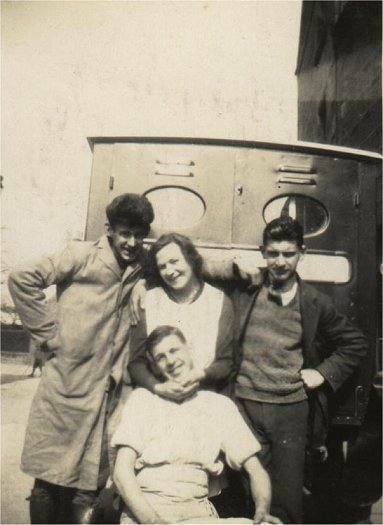 John says "Group in front of Van ...possibly a Bakers van ?...standing far left is my Dad - John ( Johnnie ) William Macdonald ...and far right standing is Donnie Munro - Year 1930 - 1935? Can anyone name the others in picture?" I think the other chap may be Willie Durrant ? ?, not sure though ?? Since I added my comment back in June 2005, I have been assured by other family members that it is Bill Durrant with no doubt. Good luck in figuring out the name of the woman in the picture. Great Mike ...thanks for that ...now to the Mystery lady ? ?